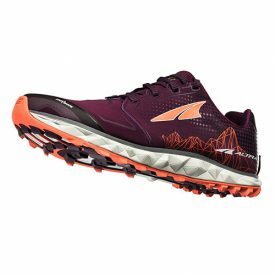 (Logan, UT – January 22, 2019) The Superior 4 is Altra’s lightest, fastest, most adaptable Superior yet. At 7.9 ounces for men and 6.3 ounces for women, the Superior 4 is one of the lightest trail shoes on the market, winning “Editor’s Choice” for Best Lightweight Trail Shoe from Runner’s World at the 2018 Outdoor Retailer Summer Market. The Superior 4 showcases Altra’s new Quantic™ midsole, which puts soft cushioning against the ground to better adapt to uneven trails for a responsive, stable ride. A stickier MaxTrac™ rubber with updated lug patterns on the TrailClaw™ outsole improves grip, traction and durability to easily tackle gnarly adventures. The Superior features a new seamless wrap-around engineered knit upper for more security and a sleeker performance fit. An updated rounded heel provides more stability and a smoother side-to-side ride on rough terrain. The Superior 4 keeps its low, nimble 21 mm stack height along with its popular removable StoneGuard™, and launches a variety of fresh new colors. Men’s color options are black, red/gray, navy blue and silver/lime, while women’s color options are black/purple, gray/raspberry, dark blue and plum accented with Living Coral, Pantone’s 2019 color of the year. The Superior 4 is available now for $110 on www.AltraRunning.com and at your local specialty running retailer.